Thinking on my braking options for my 1991 ABS 3wx. Just concentrating on the front really. I can’t remove the ABS gubbins due to EU law and stuff, so I’m stuck with it. What do you think the best way forward would be? Before suggesting C , I think my actual question is : can anyone reliably comment on which change makes the biggest difference. Yeah that’s it - rank what you think the greatest to least improvement of the three would be. I would go with B. And order a set is Spiegler lines from RPM. The Spiegler lines have the ability to turn the banjo fitting to the correct orientation to adapt to the blue dots. Thinking on my braking options for my 1991 ABS 3wx. Just concentrating on the front really. I can’t remove the ABS gubbins due to EU law and stuff, so I’m stuck with it. Regular old-style brake hoses will not twist. Anybody making braided brake hoses for you can make them using the new "rotatable" banjo ends, no problem. They can also sheath the new hoses in clear (silver), black. or various bright and/or translucent colors. Unless there is some problem with the existing lever assembly, I would not change it, although I would add the banjo bolts that include a brake bleeder in the head. These bleeder banjo bolts cost from about US$15 and up ('way up). I believe that brake pads have more influence on braking performance than the caliper types, but feel free to choose, there. Check out Venhill, Andy. You can have custom length, with specific banjos for a perfect fit. 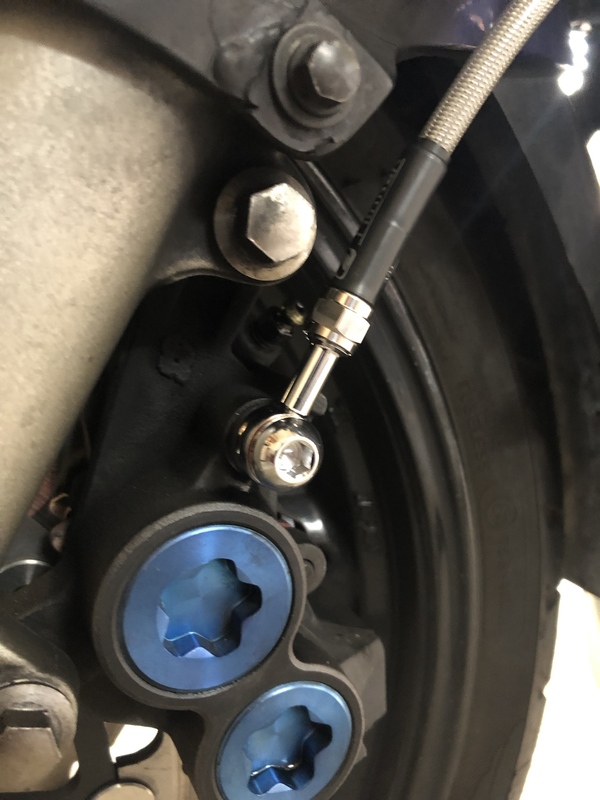 Also, the ends are fitted with a connector like a coax cable end that allows the cable twist to be fully removed when tightening. I tried the Speiglers, and was unimpressed with the tool used for setting the twist. It was a one-shot deal. You better get it right, or you live with the results. The Venhills can be loosened and re-tightened after installation. I finally went with these attached to blue dots with a radial master and I love it. I’m unsure the R-1 blue dots (monoblock) calipers have any benefit vs the oem calipers when used on the ABS. Yes, we all know about the improvements the R-1 monoblocks bring to the table on the conventional brake system *but* do they really help on the ABS? Andy, I kept the ABS on the rear brake on a ‘93 I worked on....used R-1’s, 14mm m/c and Spiegler lines on the front brakes. That worked a treat. 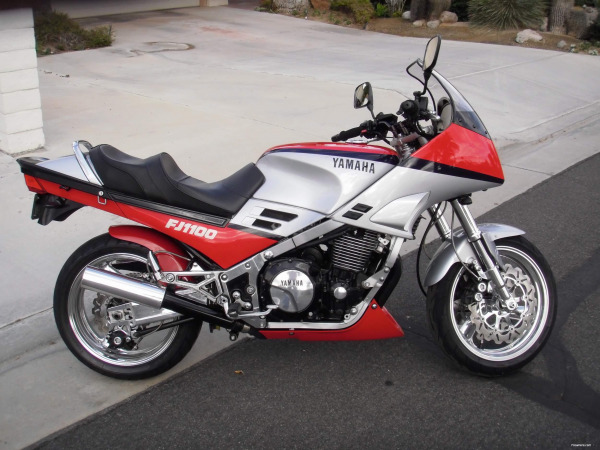 I’m a galoot with my right boot....I hate locking up the rear brake, but had no worries on that bike. Well plenty to toy with there gentlemen. Fred, I think I already asked you this question, but thanks for bearing with and reiterating. Thanks red for the good grounding on pads making the real difference - that right there is prolly the best upgrade you can make, kinda like tires. Rick those Venhills are rather saucy and hmmm worth pricing up. Didn’t we talk ABS at the races? You know the races were you got that podium. I recall, perhaps you mentioned you had all your OEM hoses. Can you measure them, you being an engineer and all. Pat, another interesting poser, do blue dots make any difference over OEM calipers with ABS models? Open to ideas on that. The easiest method to take measurements is with simple tubing. I just ran some clear tubing that I use for brake bleeding to determine exact lengths to order from Venhill. I believe (perhaps it's a placebo effect) that the blue dots give me better feel. I do use sintered pads, but I definitely noticed an improvement from the rubber hoses and ABS. Mind you, I have not taken the bike onto a track, where the true differences can be felt in an exaggerated way, but I certainly feel more confident on the street with my setup. Don't forget Andy, RPM has all of your braided brake line needs covered with the Spiegler brake line kits. Andy, the blue/gold spot calipers are an improvement performance caliper over the stock Yamaha FJ calipers. I have not read the full thread yet, but I'll try this weekend. My apologies. While I do like the Venhill stuff, it’s bad form to promote it here. The Spiegler lines available from our host are certainly of high quality and perform very well. No apologies needed, this us actually the perfect place to promote the brake lines you like and the reason(s) why you believe them to be better than the other products. I'm just giving you crap. I checked in with Venhill many years ago. At the time they did not offer DOT approved lines which are the only ones legal for use on the roadways. Are they now DOT approved? Spiegler lines sold on the RPM website are all DOT approved and legal for use upon the roadway. I've used the Venhill brake lines for the last 7 or 8 years, they are great quality, cheaper than most and extremely adjustable. They offer a great choice of angled banjo's and cut to length lines. 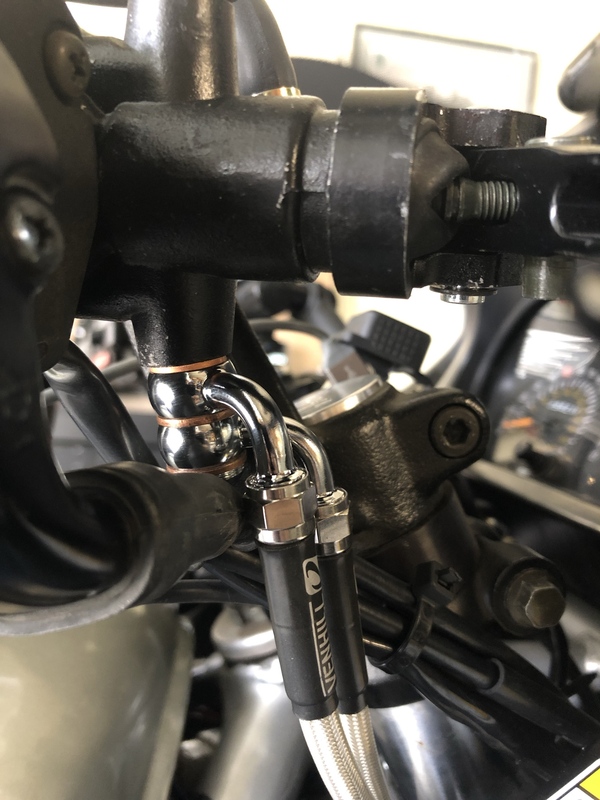 Very simple to build your own custom brake lines.